A woman who plummeted 60ft from a balcony at a John Lewis department store escaped serious injury after a bed miraculously broke her fall. Shoppers watched on in horror after the 60-year-old plunged two storeys to the basement of the store in Cheadle, Greater Manchester, on Monday afternoon. 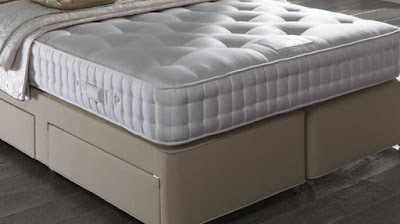 It is understood that she suffered only minor injuries to her hip and spine after amazingly landing on a display bed. Scores of staff and shoppers are believed to have witnessed the woman’s horrific fall. Police and emergency services raced to the store just before 4pm after several 999 calls reporting how the woman had fallen from the upper levels of the store. She is understood to have fallen over a glass balcony by the store’s escalators. Shoppers watched in horror as staff gave the woman first aid before paramedics arrived. Witnesses reported hearing screaming after the incident. The shop was closed by bosses for the remaining four hours as police began investigating. CCTV footage has been handed to officers, who were seen talking to managers behind closed doors on Monday evening. Staff at the department store are understood to have been offered support by John Lewis bosses after a handful witnessed the harrowing incident. Several ambulances, including a helicopter and three hazard response teams, were scrambled to the scene. The woman was taken to Wythenshawe Hospital by land ambulance - and it was soon confirmed she had survived the huge fall. She remains in hospital for treatment, but is understood to be stable. A spokeswoman for GMP said: "Her injuries are not thought to be serious and it appears that she fell onto a bed." 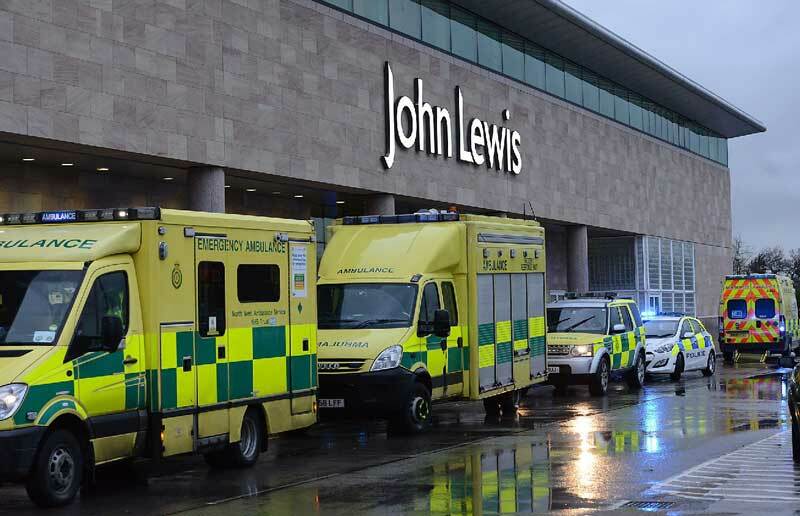 A spokeswoman for John Lewis said: "We are glad that the customer's injuries are not thought to be serious, and wish her all the best for her recovery."